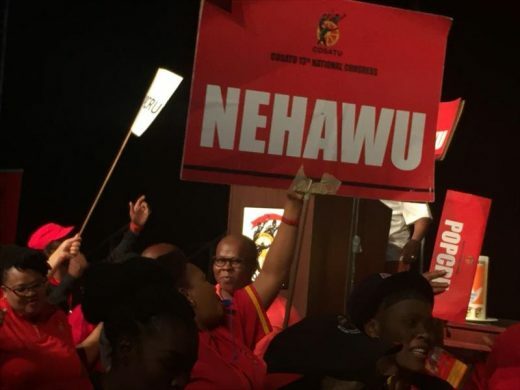 The National Education, Health and Allied Workers’ Union [NEHAWU] is currently on strike at the Services SETA on matters of mutual interest. Our members have been on strike for the past three days after the employer was served with a notice to strike on the 29th October 2018. For the past two years the management has been refusing to concede to our genuine demands and has continuously elected to treat workers with sheer disdain. Our issues were elevated to the attention of the former Minister of Higher Education and Training during a march that was convened on the 21st November 2017. The memorandum that was submitted to the then Minister was subsequently handed over to the current Minister of Higher Education and Training, Minister Naledi Pandor. A year later after our march, our issues remain unresolved and workers continue to be frustrated by the management which uses highhanded tactics including intimidation and victimisation of workers who raises sharply genuine demands by workers. The working conditions at the SETA became very unbearable to the point that workers have resolved to exercise their constitutional right and withdraw their labour power in an attempt to twist the arm of the employer to concede to their reasonable demands. The state of the SETA is both deplorable and untenable in that levy paying companies, skills development providers, trade test centres and learners are equally frustrated and as a results they have joined our strike to demonstrate their unhappiness with how the institution is badly run. The national union is extremely concerned by the deafening silence of the Minister on the issues of SETA’s. In this regard, we will demand an urgent meeting with the Minister to get answers in relation to the issues raised in the memorandum we submitted to her office. If the department continues to drag its feet in responding positively to our demands we will be left with no option but to render the system unworkable and ungovernable.